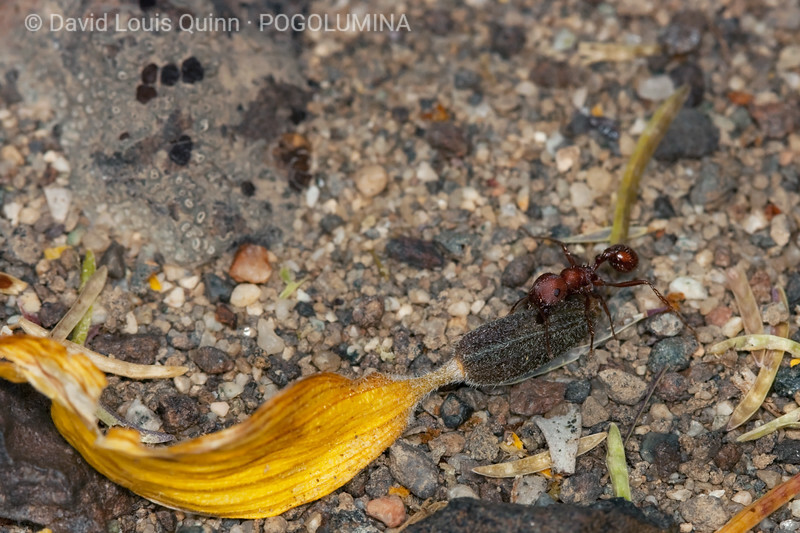 Some Pogo foraging behavior can be quite comical ... here, a large balsamroot seed (Balmorhiza sp) with bright yellow petal-like ray attached, is being dragged back to the nest by an eager Pogonomyrmex salinus worker. As is the case for most of the potential food items retrieved by this species, this large seed had fallen to the ground on its own, where it was picked up by the foraging ant. It is really much more unusual for us to see the ants foraging on the plants themselves.